Reggie and Bollie Changing the Face of X Factor? See, let's not pretend, Reggie and Bollie are really not that good...not with singing, not for a reality show based on singing. If any Ghanaian finds these words unsavoury, it's due to a simple reason: you are Ghanaian, and in this situation, I am not Ghanaian enough, or rather, I too I'm being a typical Ghanaian, but in that way. Ok, let me make a more tolerable statement: Reggie and Bollie ... nah, I can't say it, for it wouldn't be true. Okay...nah, I still can't say it. Maybe soon though. Still, I have many good things, other good things to say about Reggie and Bollie, who entered the competition as Menn on Point. Before leaving for the UK, both artists had left pleasurable moments in our ears. Bollie's " You May Kiss The Bride " is original in the way it embodies hiplife. It is always relevant and enjoyable. It is catchy and humorous. It is a classic...all songs on Da Hammer's Sounds of Our Time compilation are. And till now, no, even now, it's the single moment of musical brilliance Bollie has given to us. His act on the X Factor isn't, and that shouldn't be a debate. The only Reggie we know is Rockstone. Maybe that has not entirely been accurate since Zippy's entre in 2002 with his musical explosives. But since Reggie Zippy has been away in the UK practising as an accountant, we had all gone back to following Rockstone alone, and it is not until this edition of the X Factor that we have remembered our other Reggie, the prodigal Reggie. Unlike Bollie, Reggie has stage command, and has intentions other than engaging in twisted gesticulation with his knees and feet. He intends for his audience to have fun, and ensures that. He also has a voice which is engaging, and barks ad --lips which are instructive. His voice is not what you'd immediately expect to hear on a highly sought after singing platform as this, but he owns it, and to be fair, we hear all kinds of voices during auditions. But at 31, he's back, in group, and we should look at him as a member of a group --a dysfunctionally interesting, oddly exciting group. They don't complement each other because Bollie (29), is underwhelming and omnipresent for all the nail --biting moments of their performance. Reggie is omnipresent too, but in the way we are attracted to. That not withstanding, their performance is fire, and they're on the good side of Simon Cowell, easily the mist critical person in music today, and the one with the most important comments as far as the show is concerned. Endorsement from him is rare, and when you receive Simon's blessing, you're doing something right. The duo has secured Simon's smile ever since they performed their upbeat song "Turn It Up". This is not typical...not with Simon Cowell, not with the show. But it's working, and Simon is not easily fooled. When I watched their semi- final performance of a medley of Black Eyed Peas’ "I’ve Gotta a Feeling", and Reel 2 Reals’ classic "I like to Move it, Move it", I had to watch it again. And then I had to watch it again. It was just lovely in its happiness and colour, and for the three minutes they were real rock stars. Both songs were apt in the way they were bubbly, which is a truthful reflection of the personality they present on the show.They got the crowd to stand, and achieved frenzy. They did it. It's no doubt the most heavenly three minutes of their careers. Lauren Murray lost out on a slot in the final, and the Menn On Point have received flack for it, because for many, she is an exceptional singer on a show which is looking for exceptional singers. She's young, gorgeous and soulful in her singing, and she comes from humble beginnings. But she is a cliché. Your typical X Factor is young, pleasant and has a soulful voice. We have seen Lauren and what she represents, in many other forms, and maybe, at least this year, we are tired of silky and soulful. It's not a believable thing to say, and frankly, it tastes like salty meat on my tongue, but maybe it is what it actually is. Too much of a good thing might be unwholesome in the end. Maybe we are at the point of singing competitions where the focus of a performance is no more vocal ability, but charisma. 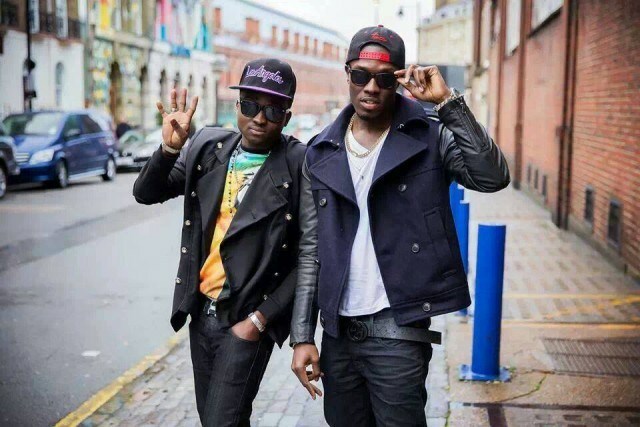 No matter what Reggie and Bollie are doing, we are drawn to it. It's not special, but at the same time, there's a difference to it. That's charisma, I think. Perhaps (and this might be too early to say), this is a new phase in the direction on the show, a tangible manifestation of the dynamism and the element of surprise that the show professes to have. Might Reggie and Bollie be it? Artistry is not necessarily about just singing, it's about performance...it's about entertainment. Look around! And on the X Factor now, nobody is performing better...nobody manipulates the crowd better and on a higher level than Reggie and Bollie, and on that score they are good enough...even better than good enough. I'm sure Simon knows that the Menn On Point are unimpressive vocally...but they excited him with their energy and breeze, and even the almighty Simon Cowell wouldn't mind some energy and breeze. Also, in every contest, there is a story, and he who possesses the story wins the contest. In this competition, they possess the story: they are modest Africans with modest ambitions in the land of honey and milk. They've been through the valleys of the shadows; doubt, ridicule, doubt, and day jobs, but have braved it all, holding on to their desire with a strong fist above dirty water. These two things: an outpouring of a passion on stage, together with this touching spin of their story might just hand them the ultimate.